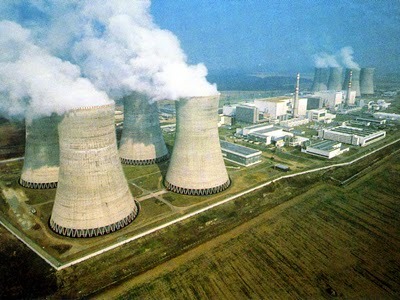 India ranks at 13th position in the world in terms of generation electricity from nuclear source. This information was given by Minister of State (MoS) Dr Jitendra Singh in written reply in the Rajya Sabha to an unstarred question. The ranking was based upon the data published by Power Reactor Information System (PRIS) of International Atomic Energy Agency (IAEA) in 2014. India’s current installed nuclear power capacity is 5780 MW. It is expected to increase to 10080 MW by 2019 on progressive completion of projects. Union Government also has accorded sanction for two more projects with a total capacity of 3400 MW. In future more nuclear power projects based both on indigenous technologies and with international cooperation are planned. The total requirement of nuclear fuel i.e. natural uranium is over 5 five years is estimated to be around 5,940 tons. It should be noted that India ranks 13th among the thirty one countries in the world which are generating electricity from nuclear source. Union Government has extended e-Tourist Visa scheme to 31 more countries with an effect from 31 May 2015. In this regard, Union Ministry of Home Affairs (MHA) has issued a notification. With this the total number of countries under the scheme has gone up to 76. The 31 countries are: Antigua & Barbuda, Anguilla, Bahamas, Bolivia, Barbados, Belize, Canada, Costa Rica, Chile, Cayman Island, Dominic an Republic, Dominica, Estonia, El Salvador, Ecuador, France, Grenada, Georgia, Haiti, Honduras,Vatican, Lithuania, Liechtenstein, Latvia, Montenegro, Macedonia, Nicaragua, Montserrat, St.Kitts & Nevis Paraguay, and Seychelles.